An athletic plus length perimeter talent who can play either the lead guard position or off the ball, Bennett is a versatile matchup problem for opposing guards. He is instinctive and skilled and he has the ability to create with the ball in his hands or score at each level. Defensively his plus length and athleticism make for a potential dominant on and off the ball defender with the ability to be active and disruptive to any offensive set. A legitimate Division 1 prospect, how Bennett refines his skill package and game the next 12 months will ultimately determine what position he locks in at in college but for now he is a solid combo who can deliver dominant floor results. Like his long term upside as a floor general but at this stage he’s still more of a combo and a potential dominant one at that. His perimeter stroke has improved and his range extends beyond the arc but there’s still areas to refine there to allow him the ability to catch and shoot off screens and find a high level of consistency. Minor things that can be addressed and pale in comparison to the dominant floor production he can provide at either position. He handles the ball fairly well, his breakdown ability is advanced, and his ability to score through traffic and at the mid-range level is his specialty offensively. As indicated he can knock down the perimeter jumper from beyond the arc enough to keep defenses honest and open up the lanes for him to attack. Defensively he can be dominant as his physical tools combined with his athleticism make him a potential nightmare for opposing guards. He’s active on the glass and generally assumes the alpha role in any game setting, much to the benefit of his team. 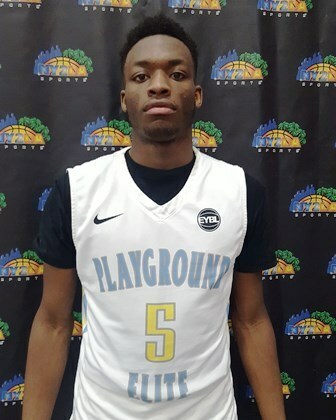 Collectively Curtis has the potential to be a high major impact talent and his overall floor impact is as dominant as it gets across the board as he has triple double type potential that few possess. One of the true sleepers in the Midwest, Klug can play and he can play at a high level at either guard position. He has handles, instincts, feel, and vision so he projects well as a lead guard. Athletically he has bounce and quickness and the young fella can really stroke the perimeter jumper so he projects well as an off guard. Reminds me a lot of a young Riley LaChance at times, except he’s a bit more athletic at this stage. He can really score and create when he wants to but most impressively he figures out teams as he goes along and generally gets better throughout the game because of it. The type that you can lock up early but his awareness and IQ is advanced so the same things that were successful early he destroys in the second half. Lachance was as good as it gets at doing that at the high school level. 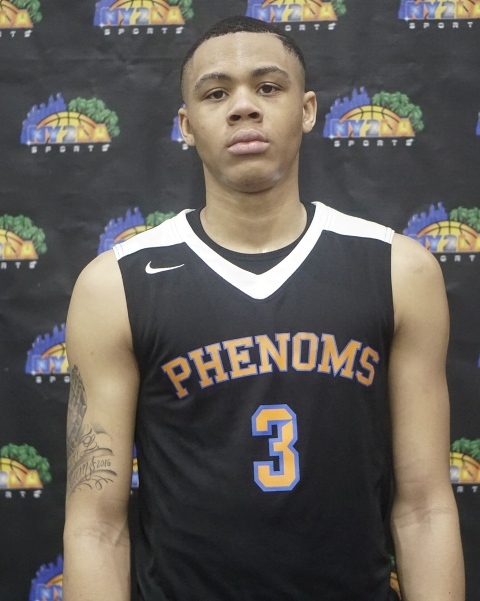 Klug is a solid athletic guard who probably projects to his highest level as a floor general and his feel and skill make him a legit mid to even potentially a high major floor general with hard work and development. Schools who sleep on him now will regret it at the next level, it’s as simple as that. Another intriguing talent who can excel at either guard position, Moore has had a breakout fall campaign and the Futures Camp was one of the many reasons why. Equipped with size, length, instincts, and skill, Moore can attack to create and score and he can score at each level. Still developing across the board, Moore is a Division 1 prospect who can do so playing either guard position. Where he ends up positionally will likely be determined by how much more he grows and what he chooses to work on skill wise. Really like his overall floor game and potential to make a positive impact offensively and defensively. At this stage Moore can deliver at either guard position and he’s just scratching the surface of his potential.